TheWirk.com ~ voted BallHyped.com's 2010 "Best Independent Sports Blog": NBA Free agency is here! Anyone spot any good signage? 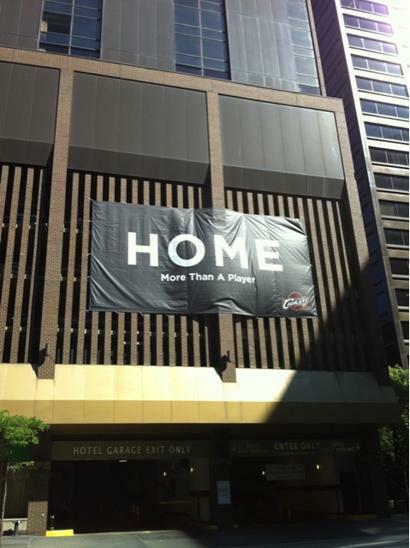 NBA Free agency is here! Anyone spot any good signage? So unless you've been living under a rock and/or are using dial-up (i.e. do people still use that), you know that NBA free agency has arrived. Lucky (i.e. or unlucky) for me, I don't have to meet with Pat Riley or the New Jersey Nets, etc. this morning so I can get some other work done. I received this picture this morning from a friend. Anyone else see any other good signage? If so, snap a pic and send it to thewirk@gmail.com. I'll add it to this post. 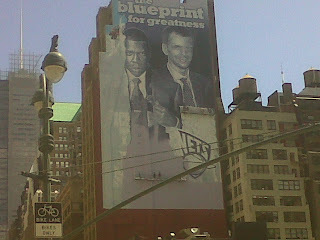 The NJ Nets are leveraging the relationship with Jay-Z, with their "the blueprint for greatness campaign". 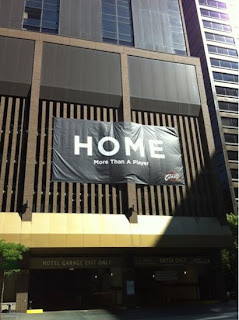 Banner across the street from LeBron's secret meetings with the Nets and the Knicks. 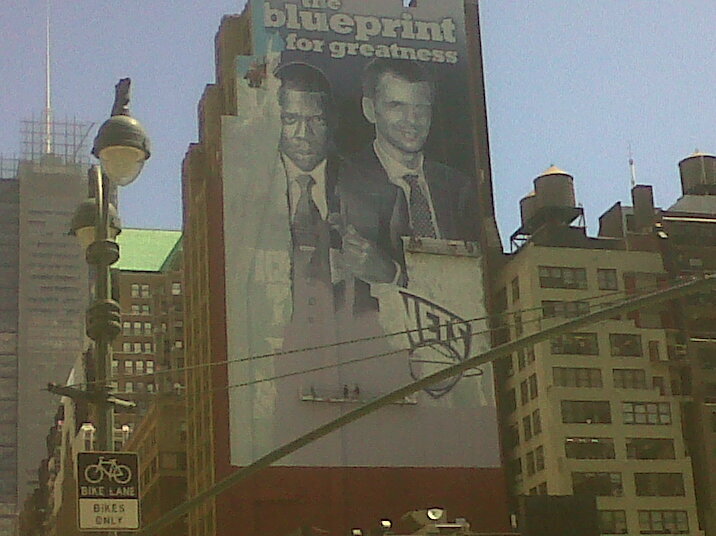 the knicks franchise is in such a state of disarray (i.e. think old school clipper)! it'd take more than lebron to rebuild that team ~ and that's tough for me to say bc i loved the patrick ewing/charles oakley/anthony mason knicks!